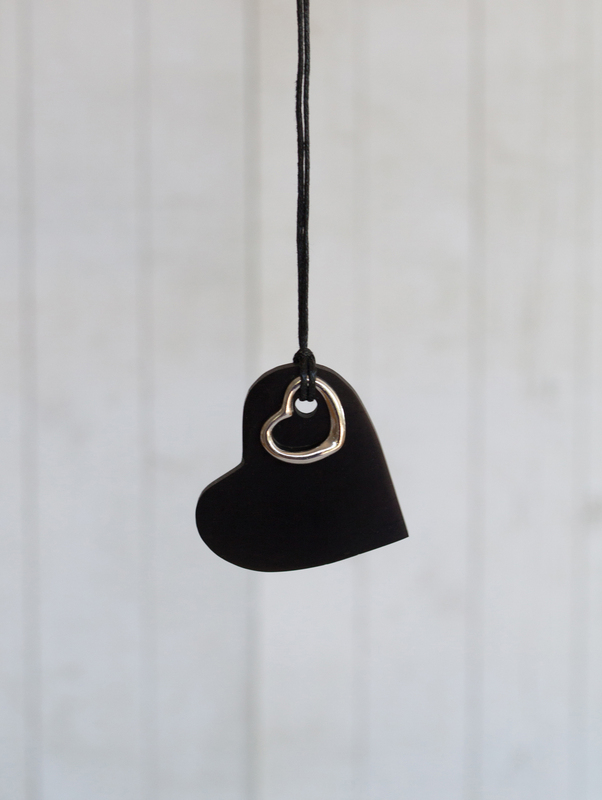 This whimsical pure Shungite pendant consists of a flat shungite heart (42mm x 40mm and 3mm thick) strung together with a sweet silver heart (12mm wide). 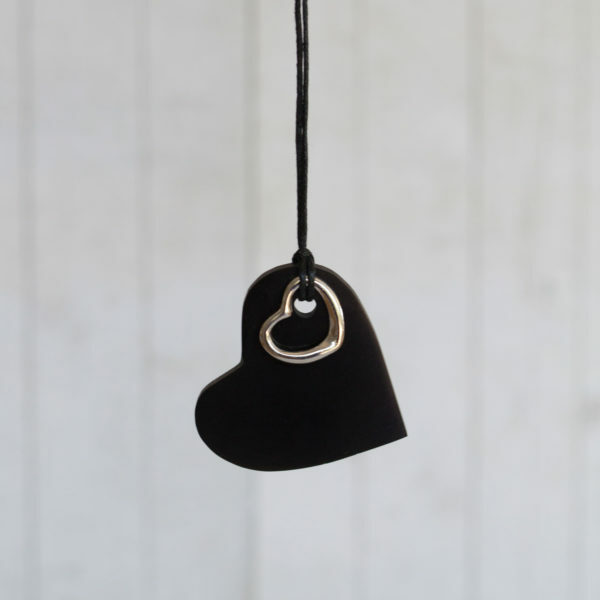 Both pieces are held together by a black cord that can be adjusted to your personal tastes. Every pendant is hand carved and is totally unique. As a result, some variations in the surface and edges of the pendants is to be expected. 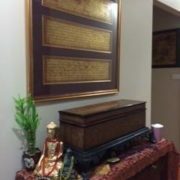 All pendants have been cleansed and placed in Georgina's antique Buddhist Prayer box to absorb the ancient healing energies contained therein. Shungite also called the “miracle stone” or “the stone of life is a very powerful transformative stone, known for its incredible healing and protection properties. Many people believe that Shungite cures, rescues, purifies, heals, protects, normalizes, restores and even stimulates the growth. 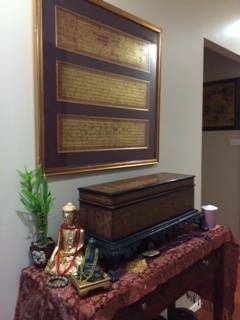 It concentrates and restores all that is good. Shungite is an ancient stone, believed to be 600 million to 4 billion years old and was formed from the very first microorganisms that lived in an ancient sea near Lake Onega in the Shunga region of Karelia, North West of Russia. Can deflect harmful electromagnetic frequencies (EMFs) from mobiles, computers, Wi-Fi, TVs, etc. Shungite has a unique structure consisting of fullerenes, which is a relatively newly discovered type of carbon crystal. Fullerenes are known to purify water and are also a powerful antioxidant. Antioxidants protect cells of human bodies from the damaging effects of free radicals. Shungite is a must-have for anyone working in healing professions. Stressful environments and all workplaces are full of energies that you don’t want to bring home with you. We are in constant contact with other people and their energies, especially in the workplace and the protective properties of Shungite does wonders in keeping you balanced, grounded, and free from picking up negative or unwanted energies from the environment. It helps to keep your own energies balanced and positive.